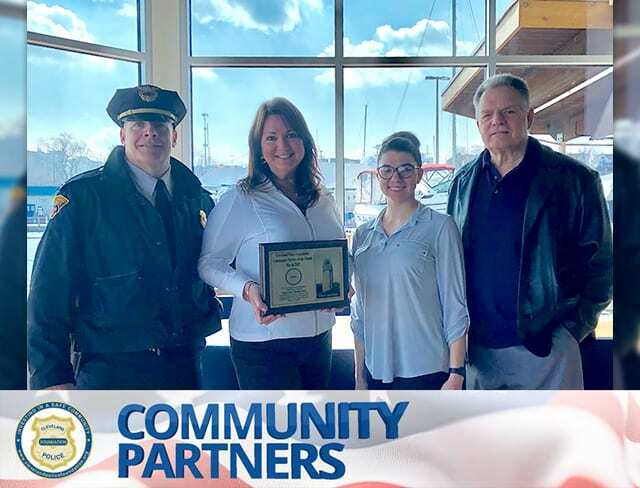 The Cleveland Police Foundation has implemented the Community Partner of the Month Award, given to individuals from the community who strive to support the mission goals of The Cleveland Division of Police and the CPF. These good folks support law enforcement and continue on a daily basis to help improve their individual neighborhoods. Award recipients receive a plaque and appropriate recognition. Thank you to these achievers! Joe Charboneau, the 1980 MLB Rookie of the Year for the Cleveland Indians, and Enzo Maddalena, owner of Masters of Disasters (a restoration company), have continually supported the Cleveland Police Foundation and Cleveland Cops for Kids. They have been incredibly generous over the years, not only donating financially, but taking the time to attend many of the Cops for Kids fundraisers. Joe has donated jerseys and signed memorabilia at events to help raise money so that CPD officers can connect with their community and most importantly the children. 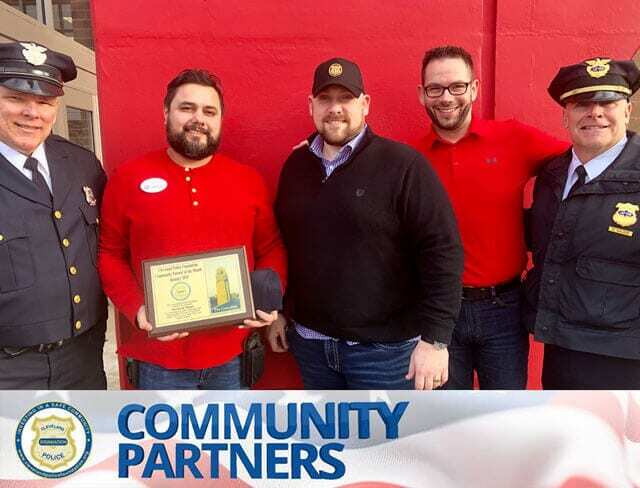 It was fitting that the Community Partner plaques were presented to Joe and Enzo at a fundraiser they were hosting for charity on April 1st, the Cleveland Indians Opening Day!! Thank you Joe and Enzo for helping provide resources for the Cleveland Police Foundation and Cleveland Cops for Kids to connect with the community!! 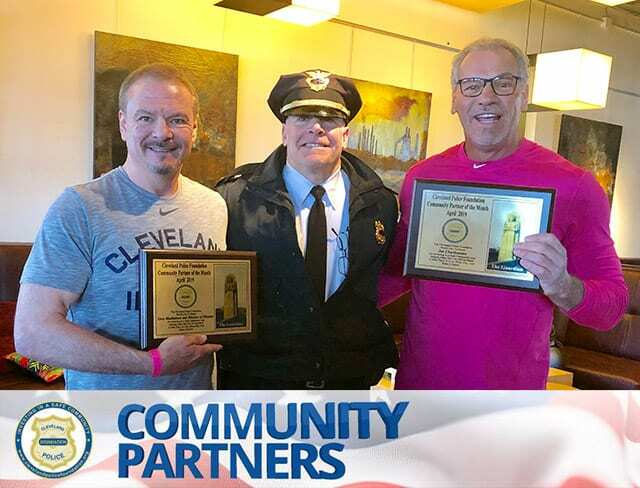 It is because of this devotion and dedication to the children and officers in our community that the Cleveland Police Foundation is honored to name Joe Charboneau and Enzo Maddalena as Community Partners of the Month for April 2019. Linda Litto has been a tireless and committed advocate of the community for many years. She has served the people of Ward 14, Ward 3, and now serves Ward 16 as the executive assistant to Councilman Brian Kazy. Linda volunteers as the president of the Monroe Street Cemetery Foundation, overseeing the restoration and care of the historic cemetery, and is a volunteer member of the Second District Police/Community Relations Committee. Linda is constantly looking for ways for the community to join with the police, Cleveland City Hall, and neighborhood groups through projects which bring them together to promote increased communication and trust. Linda volunteers to help out at Cops for Kids events, sells tickets to help with fundraising, and promotes as well as financially supports the Cleveland Police Foundation charities. 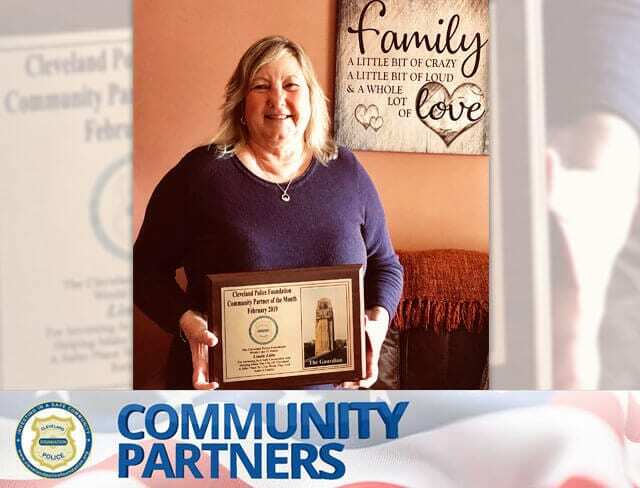 It is because of her dedication and devotion to the community that the Cleveland Police Foundation is honored to name Linda Litto as Community Partner of the Month for February 2019.